Maritime law rules naval issues and disputes. It incorporates domestic laws and international laws between private parties across oceans. Maritime law is separate from what most people consider the law, such as personal injury or criminal law. It involves different kinds of disputes and, consequently, implicates different kinds of issues. Interestingly, maritime law controversies can be between parties of one nation but also parties of different nations across harbors, lakes, and oceans. Its place within and difference from other branches of law is important to understand. What Are Examples Of Admiralty Law Disputes? What Can An Admiralty Law Lawyer Do For Me? Admiralty law is also referred to as maritime law. It is a separate branch of law that rules on sea disputes. Common issues of maritime concern are navigation, salvaging, commercial arguments, collisions, and other matters. It is important to distinguish admiralty law from the Law of the Sea. The former is domestic laws and related regulations that govern private actors within a state's water territories. The latter is a set of international agreements governing nation to nation interactions on the high seas. Common law is the set of law made by judges' rulings from case to case. It is highly fact specific and relies on a theory of stare decisis. Stare decisis means that cases are bound to follow the rulings of past cases. In this sense, common law is like an avalanche-it builds case by case as time goes on. The United States and many other countries utilize this legal model. Statutory law is the set of rules promulgated by governments. They can govern on virtually any aspect of modern life. Typically, as in the United States, governments create agencies and afford them the power to tailor rules in order to add specificity and application to individual laws. In America, statutory law exists side-by-side with common law. However, courts also interpret and define statutes. Therefore, the judiciary branch has some capacity to shade the meaning of congressionally made law. The Jones Act is a federal law that regulates United States seamen that get hurt while working on the seas on a vessel in passage. It is also called the Merchant Marine Act of 1920. 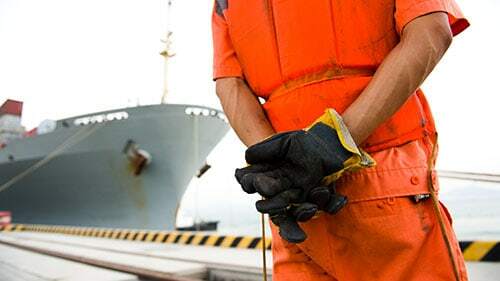 The Jones Act touches on issues of who qualifies for its protections, what injured seamen can recover, and how they recover for their injuries. Additionally, it defines the respective duties of seamen and their employers. It is important to note that this was federally created law so it operates within the sphere of statutory law. It can be interpreted by federal agencies, reviewed by federal courts, and enforced by federal action. These are not the only kinds of maritime issues but they are some of the most pressing and serious. If you think you have been involved in a maritime controversy, consult a qualified attorney. He or she can help you explain what laws relate to your accident and what you need to do in order to recover for your harms. An experienced Jones Act lawyer can ensure that your rights are protected and your compensation is preserved throughout the entirety of a lawsuit. Also, in many instances, they can offer all of the resources necessary to pursue recovery. Experienced and zealous counsel can make or break your Jones Act case. Your lawyers need to hit the ground running because your suit requires a lot of investigation and preparation prior to filing. One of the first things you should discuss with your attorneys is how they will prevail on many of the statutory requirements of the law. The Jones Act demands a strict showing of certain things and you should ensure your counsel can demonstrate all of these items. Also, any successful admiralty lawyer should have a history of winning in court. Jones Act trials may go to a trial and if yours does you will need an excellent presenter for arguments and examinations. Your lawyer should be able to accomplish this. Finally, your admiralty lawyer should be able to cover a lot of the costs of the case prior to charging you. A lot of attorneys work on contingency and this saves you most of the upfront expenses of trial. Discuss with your attorney if this is possible for you. We know that the web of laws surrounding maritime injuries can be confusing. It is difficult establishing what common law, statute, or other authority governs any particular issue. Contact us at (888) 424-5757 if you want to know which applies or if you just want to know more about the subject generally. Understanding these complex issues can make the difference between winning and losing. Therefore, our team has spent a tremendous amount of time helping maritime victims and learning about their circumstances. We can put all of the lessons and skills we have gathered to good for your case.